Tips, tricks and advice on photography and the business of photography including lighting, cameras, clients and how to make better images by Chad Greene, ChadCRG Images. What gear do I use and why? Well, it seems that it is in flux most of the time but let's see what I have right now with cameras and lights. When I look at gear I look at it from two main points of view, from a photographer and from a business owner. The photographer loves gadgets, toys, tech and all things new and shiny. The business owner is only interested in things that will add to a return on investment that helps the business grow. Over the years I have shot with all kinds of cameras…some I liked and some I didn't. Throughout most of my career I have always had Canon cameras even if I was shooting Nikon at work. 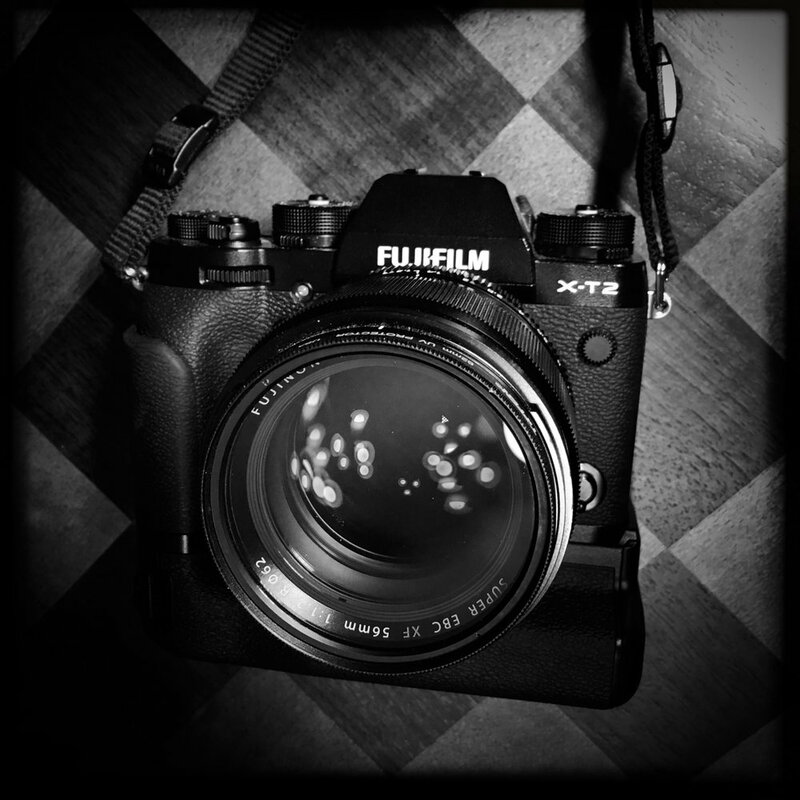 About three years ago I sold all of my camera gear and switched over to Fujifilm completely. I did this for several reasons. 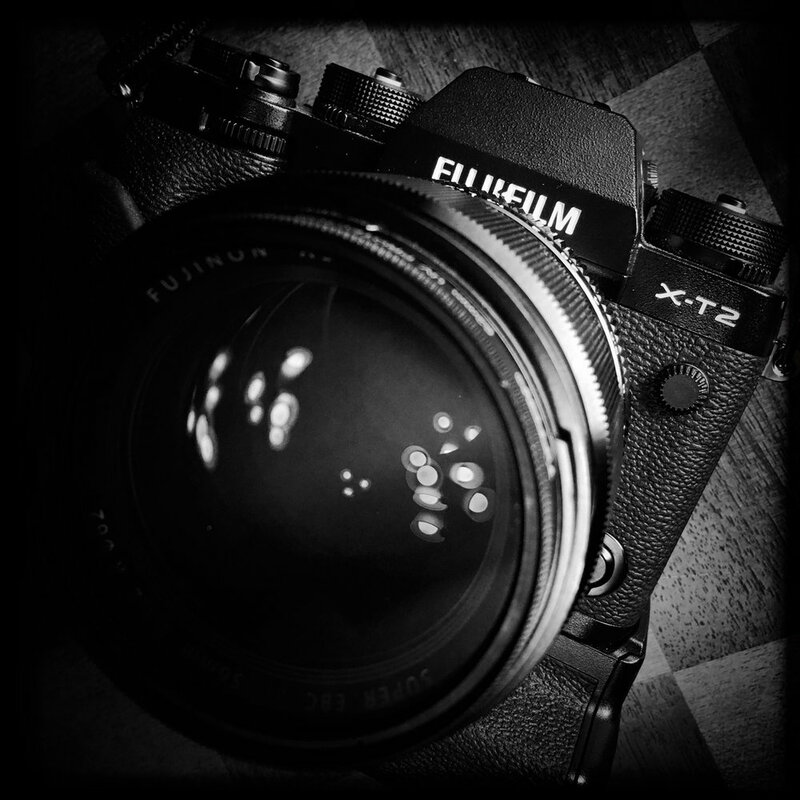 I picked up the original Fuji x100 when it was released and just fell in love with it. After that I got the original X-Pro and the original three lenses. It got to the point where I was not taking the Canon out much and even when I did I was only using it for situation where I didn't have the equivalent Fuji lens. When the X-T1 was released I decided it was time to switch for good. Currently I'm shooting with the Fuji X-t2 and Fuji X100T (hopefully the X100F soon). Why did I switch and why I have I stayed? Well…in the simplest terms it was the image quality. The colors are just amazing! The JPEG files are just spectacular coming out of the camera (I shoot RAW + JPEG) and the JPEG's are almost ready to send to clients without work. The electronic viewfinder is wonderful and I can't imagine a situation where I would ever want to go back to a standard SLR camera. The camera is fast, responsive and fun to work with. This isn't going to be a camera review, this is more about why I made the decisions I made to have the gear I'm using right now. On the other hand, the business owner was very happy about this choice at the same time. Fuji is less expensive compared to my older system. That means I was able to sell my old equipment and buy the new Fuji's without spending much money. The image quality is better for my clients. Being able to deliver better image quality is a selling point. The equipment weighs less so I'm not stressing my back as much and thus will spend less on medical care. Camera insurance prices went down since the purchase price was less so I'm saving money every month. In the end I wanted to answer these questions...if I make this switch will I save money while delivering a better quality/service to my clients? Overall, I would say it was one of the best decisions I have ever made! There are people who can tell you the specs of light output and blah blah blah. I don't get into that. I love lighting and love playing with light but for me it more about the end result. My requirements for lighting are simple. I want to spend as little money as possible while getting the strobes that will work for my needs. Coming up with what I needed took a little while though. I need something that is easy to transport since everything I do is on location. I need something that is durable, again since they will get set up and torn down repeatedly. I needed something that I could dial in the exact white balance. I needed lights that allowed me options for lighting modifiers and not just from the manufacturer but from third party sellers as well. Currently I am using Alien Bee strobes and Yongnuo flashes. I really like the Alien bees, they have good customer service, lightweight, durable, and simple. I don't use a lot of power when I'm shooting so I didn't need something where I can light up the entire city block. Most of the time I'm in the 1/8 power range on an Alien Bee B400. I've looked at other brands for strobes. I've found some that I have been tempted by but nothing for the price vs. value. Another important factor for me was having the ability for the strobe and the flash to fire at the same time. For some reason some of the strobes I tried did sync exactly with a flash and I usually mix the two lights when I working. For flashes I use the Yongnou flashes, what's not to love? I almost never use on camera flash and even if I do put a flash on camera I don't use TTL. I want to be able to control my light all of the time and don't like giving up that control to the camera. I use these as kicker lights, as fill sometimes and end up putting them all over the place when I need to conceal light in a small space powered down to 1/128th. They are just like the flashes made by Canon or Nikon without the TTL at an affordable price. If I remember correctly I picked them or for about 70 bucks each? On the rare occasion I do put a flash on the camera I usually pick two distances I'll be using most and get my readings. With the aperture ring on the lens for Fuji I can easily switch that and keep shooting as needed. Nothing fancy in my lighting but they work well, are affordable, reliable and give me the quality that I need. Later on I'll have a "what's in the bag" feature and break down everything I use! Right now...it's time to go shoot!